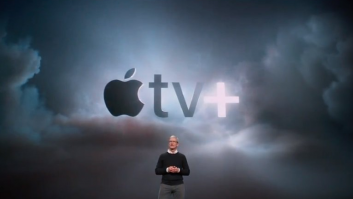 Apple is expected to officially debut its much-discussed new streaming service on 25th March. According to Bloomberg, the company hasn’t officially announced the launch but has invited Reese Witherspoon, Nicole Kidman, Jennifer Garner and JJ Abrams to an event. All four are working on forthcoming content for the expected streamer. As well as showing off content for the SVoD, Apple is expected to unveil its new Texture service for news subscriptions at the event. The video service is similar to both Amazon Prime and Netflix, and will include TV shows and movies either acquired or funded by Apple. According to Bloomberg, the SVoD is expected to launch to consumers by the summer.